Back Office Pro has the talent pool to make the pictures in your head become the pictures on your page. We have chosen only the best of the best to become part of the Back Office Pro family of illustrators and they are becoming increasingly well known in the outsourcing community for their quality work, happy clients and attention to detail. 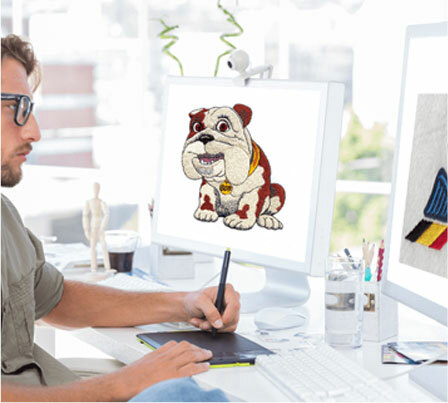 Our world class illustrators are provided with the latest in illustration software and have become experts in their fields. If you are looking to outsource artwork services for your project or company then you can be confident with Back Office Pro as your chosen partner. Magazine Artwork We produce artwork that matches double page spreads, full pages, and either vertical or horizontal half page layouts. Sketch Conversion With the help of our experts you can convert your hand drawn sketches or characters into high quality computer images. Character Creation Using the latest software, our illustrators can create memorable characters or scenes to compliment children’s books. Vector Conversion By availing our services, you can turn any image into a scalable vector art file for use in all types of digital files. Image Enhancement With the help of our image enhancement services you can improve the quality of the artwork or image you are currently using. Color Optimization Our color optimization services can help you improve the quality of your artwork by adjusting the vibrancy of your image. Creativity: Artwork requires that hard-to-define creative spark, and our talent searches have recruited some of the most creative people in the world. Business Know-How: Creativity has to be tempered with experience and a practical sense of what works in the business world – whether it’s your logo, your advertising, or your publications. Professionalism: Our team knows the file formats, printer requirements, and specifications for every possible deliverable you might need. Technical Skills: All the creativity in the world won’t help if you can’t master the digital and analog skills required to make art in the modern age – and make it usable on a variety of platforms. Our teams can deliver to any platform you need – print, web, or animation. We like to think that we take your dreams and make them your reality. If you can dream it we can make it spring to life in digital form or simply add stunning depth to a well written story. Our team works tirelessly to make sure that the image you have in your mind is the exact one that gets produced in the process. We will consult with you every step of the way and make whatever revisions necessary to ensure that you are completely satisfied with the end result. Back Office Pro team members take one of a kind works of art that were created by our team and make them usable and vibrant computer images ready to be used for any number of projects or campaigns. You can also send us your own drawings and we will convert them for you ready to be used as illustrations, in ad campaigns, in digital media, online comic strips or whatever other use you could possibly think of. Create. Convert. Enjoy. Our business is bringing your ideas to life so they can promote your business and spread your ideas. We want to be a part of that. Call Back Office Pro today and let’s start the process!